October 17, 2018 – Albuquerque, New Mexico USA – Devvio Inc, a software company with the most scalable and frictionless blockchain in the world, has opened its early access program to its new alpha release TestNet. Access to the limited alpha version of the Devv TestNet will grant select companies the ability to explore the Devv blockchain, by testing their own transactions across the company’s high-speed network. This early release allows users to sign up, request and send Devv cryptocurrency all within a matter of milliseconds. Applicants accepted into the Devv alpha program will be among the very first in the world to also be able to design and apply Devv smart contract features. Upon request, permitted businesses and developers may now experience the Devv TestNet’s unparalleled speed, security and efficiency. The simultaneous release of the company’s alpha TestNet and its publicly available source code marks a significant milestone in the product’s development and of blockchain solutions as a whole. The Devv TestNet shows that the new paradigm of sharded blockchain solutions not only scales comparably well compared to traditional relational databases, but can handle immutable and complex multi-party transactions with ease. 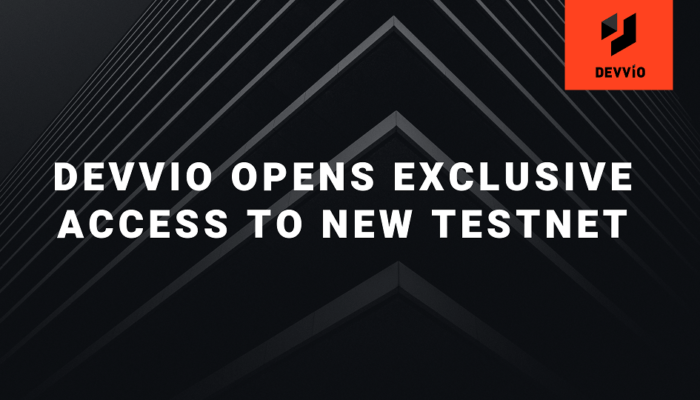 For businesses and teams looking to try out the Devvio TestNet, contact [email protected] or join the company’s Telegram channel to request access and stay up to date with the latest project developments. Devvio Inc. has created the most scalable and affordable blockchain solution in the world. Devvio’s mission is to enable the world’s infrastructure for transferring value and become the most reliable enterprise blockchain solution on the market. For more information regarding Devvio visit https://devv.io, and join its official telegram channel here: https://t.me/devvioinc.